A micronation (aka cybernation, fantasy country, model country, new country project, pseudonation, counternation, ephemeral state, online nation, and variants thereof) is an entity intended to exist on equal footing with recognized independent states, replace, resemble, or mock. Some micronations are created with serious intent, while others exist as a hobby or stunt. For the most part they exist only on paper, on the internet, or in the minds of their creators and participants. A small number have also managed to achieve some degree of recognition. When they do, they converge to some degree with other organising paradigms that offer, or seem to offer, political or infrastructural independence of some sort. A. They may have a form and structure similar to established sovereign states, including territorial claims, government institutions, official symbols and citizens. B. Such nations are often quite small, in both their claimed territory and claimed populations - although there are some exceptions to this rule. C. Micronations may issue formal instruments such as postage stamps, coins, banknotes and passports, and confer honours and titles of nobility. A criteria which distinguishes micronations from imaginary countries, eco-villages, campuses, tribes, clans, sects, and residential community associations, is that these latter entities do not usually seek to be recognized as sovereign. The Montevideo Convention was one attempt to create a legal definition distinguishing between states and non-states. Some micronations meet this definition, while some do not. The academic study of micronations and microstates is termed micropatrology, and the hobby of establishing and operating micronations is known as micronationalism. Small, generally recognised states such as Fiji, Monaco and San Marino are sometimes referred to by some as micronations; these countries are more properly referred to as microstates. The 19th century saw the rise to prominence of the nation-state concept, and the earliest recognizable micronations can be dated to that period. Most were founded by eccentric adventurers or business speculators, and several were remarkably successful. These include the Cocos (Keeling) Islands, ruled by the Clunies-Ross family, and Sarawak, ruled by the "White Rajas" of the Brooke family; both were independent personal fiefdoms in all but name, and survived until well into the 20th century. Less successful were the Kingdom of Araucania and Patagonia (1860-1862) in southern Chile and Argentina, and the Kingdom of Sedang (1888-1890) in French Indochina. The oldest extant micronation to arise in modern times is the Kingdom of Redonda, founded in 1865 in the Caribbean. It failed to establish itself as a "real" country, but has nonetheless managed to survive into the present day as a unique literary foundation with its own king and aristocracy - although it is not without its controversies; there are presently at least four competing claimants to the Redondan throne. M. C. Harman, owner of the UK island of Lundy in the early decades of the 20th century issued private coinage and postage stamps for local use. Although the island was ruled as a virtual fiefdom, its owner never claimed to be independent of the United Kingdom, so Lundy can at best be described as a precursor to later territorial micronations. The 1960s and 1970s saw a micronational renaissance, with the foundation of a number of territorial micronations. The first of these, Sealand, was founded in 1967 on an abandoned World War II gun platform in the North Sea, and has survived into the present day. Others were based on schemes requiring the construction of artificial islands, but only two are known to have risen above sea level. Rose Island was a 400 sq metre platform built in international waters off the Italian town of Rimini, in the Adriatic Sea in 1968. It is reported to have issued stamps, minted currency and declared Esperanto to be its official language. Shortly after completion however it was destroyed by the Italian Navy. The Republic of Minerva was set up in 1972 as a libertarian new country project by Nevada businessman Michael Oliver. Oliver's group conducted dredging operations at the Minerva Reefs, a shoal located in the Pacific Ocean south of Fiji. They succeeded in creating a small artificial island but their efforts at securing international recognition met with little success and near-neighbour Tonga sent a military force to the area and annexed it. On April 1, 1977, bibliophile Richard Booth, declared the UK town of Hay-on-Wye an "independent republic" with himself as its king. The town has subsequently developed a healthy tourism industry based on literary interests, and "King Richard" (whose sceptre consists of a recycled toilet plunger) continues to dole out Hay-on-Wye peerages and honours to anyone prepared to pay for them. Micronational activities were disproportionately common throughout Australia in the final three decades of the 20th century. The Hutt River Province Principality started the ball rolling in 1970, when Prince Leonard (born Leonard George Casley) declared his farming property independent after a dispute over wheat quotas. 1976 witnessed the creation of the Province of Bumbunga on a rural property near Snowtown, South Australia, by an eccentric British monarchist named Alex Brackstone, and a dispute over flood damage to farm properties led to the creation of the Independent State of Rainbow Creek in northeastern Victoria by Tom Barnes in 1979. In New South Wales, a political protest by a group of Sydney teenagers led to the 1981 creation of the Empire of Atlantium, and a mortgage foreclosure dispute led George and Stephanie Muirhead of Rockhampton, Queensland to secede as the Principality of Marlborough in 1993. Yet another Australian secessionist state came into existence on 1 May 2003, when Peter Gillies declared the independence of his 66 hectare northern New South Wales farm as the Principality of United Oceania after an unresolved year-long dispute with Port Stephens Council over Gillies' plans to construct a private residence on the property Ref United Oceania. Micronational hobbyists received a significant boost in the mid 1990s when popularization of the Internet gave them the ability to promote their activities to a global audience. As a result the number of online and fantasy micronations expanded dramatically. The majority were based in English-speaking countries, however a significant minority arose elsewhere. 1. Social, economic or political simulations. 2. Exercises in personal entertainment or self-aggrandizement. 3. Exercises in fantasy, creative fiction or artistic expression. 4. Vehicles for the promotion of an agenda. 5. Entities created for fraudulent purposes. 6. Historical anomalies and aspirant states. "We are completely serious about our declaration of sovereignty. However, we are also very realistic and do not expect to function as an actual sovereign nation with our own territory in the foreseeable future. We look at it in three ways; as a long-term goal towards which we can reach, as a very convenient way to organize the administration of Nova Roma (especially given our Roman orientation), and as necessary for the full and complete restoration of the Religio Romana (since many religious duties were inherently tied to the State)." Aerica, a Monty Pythonesque "interplanetary empire". Madland, a two-person kingdom "ruled" by "His Imperial Most Gracious, Glorious and Holy Majesty, King/Emperor Edgard II". Given that these types of micronations are almost exclusively the domain of male adolescents it has been suggested by some that they represent an escapist manifestation of the desire by their proponents to better control their environment. This remains an untested thesis. Lizbekistan, a popular Internet-based project created by Australian artist Liz Stirling. Upper Yafa, one of an extraordinarily diverse and entertaining array of micronations invented by prolific New Zealand-based artistamp producer Bruce Henderson since the early 1970s. The Republic of Howland, Baker and Jarvis, a highly developed web-based alternative reality project. The nation of NSK - Neue Slowenische Kunst, a nation created by a number of Slovene artists, among them Laibach. In the 1948 Margaret Rutherford / Stanley Holloway movie Passport to Pimlico, the London Borough of Pimlico supposedly declares independence from Britain and becomes a micronation. The "global state" of Waveland, established on the UK island of Rockall by Greenpeace protesters in 1997. The Conch Republic, which began in 1982 as a tongue-in-cheek economic protest by residents and business owners in the Florida Keys. The Kingdom of Anse-Saint-Jean, started to promote tourism in a small Quebec town. The Freie Republik Wendland, founded 1980 as part of a campaign to prevent the construction of a nuclear waste disposal facility in Gorleben, northern Germany. Given that most people are inculcated with an unquestioning respect and obedience for governments and their symbols from an early age it is probably not surprising that certain unscrupulous individuals have sought to derive personal financial benefit from the gullible by establishing micronational entities that have a fraudulent intent. The best known of these, the Dominion of Melchizedek (possibly named after the Biblical figure Melchizedek) was created in 1986 by a father-and-son team of confidence tricksters named Evan David Pedley and Ben David Pedley (the latter also known as David Korem) to sell fraudulent banking licenses. Melchizedek, which is supposedly an "ecclesiastical constitutional sovereignty", claims a number of territories, including Taongi Atoll, Malpelo Island, Karitane Shoal, Solkope Island, Clipperton Island and a large slab of Antarctica. Some of these are underwater, while others are territories administered by legitimate nations, amongst them France and Fiji. According to John Shockey, former special assistant, U.S. Comptroller of the Currency, in an address to the 4th International Financial Fraud Convention in London, May 27, 1999: "The Dominion of Melchizedek is a fraud, a major fraud, and not a legitimate sovereign entity. Persons associated with the Dominion of Melchizedek have been indicted and convicted of a variety of crimes." (http://www.quatloos.com/groups/melchiz.htm) The "government" of Melchizedek is allegedly based in the Australian capital city of Canberra, where it maintains a post office box address. Another micronation called New Utopia, operated by an Oklahoma City longevity promoter named Prince Lazarus R. Long (born Howard Turney) - and ostensibly a libertarian new country project - was stopped by a United States federal court temporary restraining order from selling bonds and bank licenses. New Utopia has claimed for a number of years to be on the verge of commencing construction of an artificial island territory located approximately midway between Honduras and Cuba, however the selected location continues to remain resolutely submerged by the waters of the Caribbean. Seborga, an historic principality located in the Italian region of Liguria, which traces its history back at least 1,000 years. Beaver Island in Lake Michigan was an unrecognized Mormon kingdom from 1848 to 1856, until its leader, James Strang, was assassinated by disgruntled followers. The Republic of Indian Stream, established in 1832 on territory claimed by both the US and Canada. The Hutt River Province, a farm in Western Australia which claims to have seceded from Australia to become an independent principality with a worldwide population of 13,000. Sealand, a "sovereign Principality" located on a WWII-era anti-aircraft platform in the North Sea in what were international waters at the time of its foundation. These waters are now subject to claims by both Sealand and the United Kingdom. Sealand is home to HavenCo, a colocation site that advertises that customer data will be secure "against any legal action." Atlantium, a "global non-territorial state" claiming citizens in over sixty countries. These types of micronations are usually located in small (usually disputed) territorial enclaves, generate limited economic activity founded on tourism and philatelic and numismatic sales, and are at best tolerated or at worst ignored by other nations. Footnotes to History (http://www.buckyogi.com/footnotes/) - Comprehensive list of failed secessionist states, alternative governments and other historical oddities. The Imperial Collection (http://www.imperial-collection.net) - Comprehensive catalogue of stamps, coins and banknotes issued by secessionist states. Micronations.net (http://www.micronations.net/) online micronational portal. Micro-nations.org (http://www.micro-nations.org) online micronational directory & message board with list of 182 micronations. Web Directory of micronations (http://dmoz.org/Society/Issues/Secession/Micronations/). 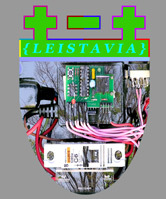 The Review (http://www.the-review.tk) - Online micronational newspaper. Seasteading (http://www.seastead.org/) - A proprietary floating platform technology that could potentially form the basis of extraterritorial sovereign entities. Ref United Oceania: Australian Daily Telegraph (http://www.dailytelegraph.com.au), Thursday, July 24th, page 20, "Prince finds if all else fails, secede".